A traditional relaxation massage; Swedish massage is wonderful for muscular tension and stress relief. Swedish massage uses long, gliding movements followed by various techniques of light to deep pressure to relax tense muscles, improve circulation, release toxins and promote harmony and balance. Reflexology is a science, and an art, that uses the thumbs ,and fingers to stimulate specific reflex points (called bites) in the hands and feet that correspond to the organs and systems of the body. By stimulating these points, we improve blood flow and relax the nervous system.We can also find, and work out small salt deposits that obstruct your natural nerve impulses.This then reduces stress and congestion helping to create balance and harmony in the body. In this state of “at ease” or homeostasis the body can more readily use its built in abilities and energies to heal itself. 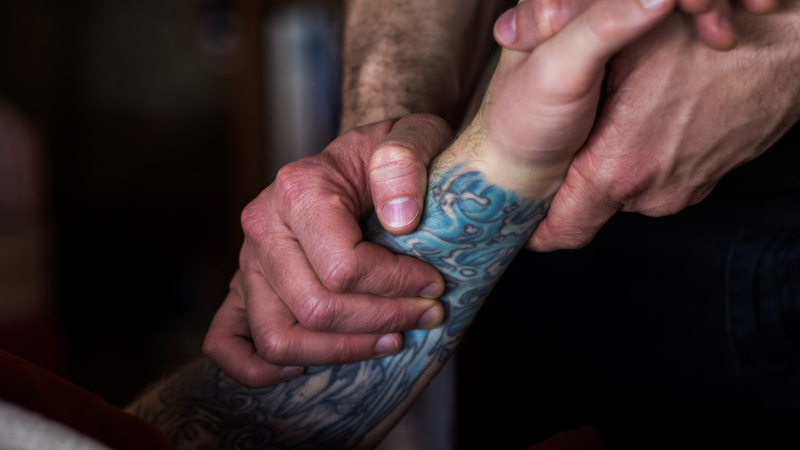 Myofascial Release (MFR) is a very effective hands-on technique that provides sustained pressure into myofascial restrictions to eliminate pain and restore motion. Fascia is a specialized system of the body that has an appearance similar to a spider’s web or a sweater. Fascia (or connective tissue) is very densely woven, covering and interpenetrating every muscle, bone, nerve, artery and vein as well as all of our internal organs including the heart, lungs, brain and spinal cord. The most interesting aspect of the fascial system is that it is not just a system of separate coverings. It is actually one structure that exists from head to foot without interruption. In this way you can begin to see that each part of the entire body is connected to every other part by the fascia, like the yarn in a sweater. In the normal healthy state, the fascia is relaxed and wavy in configuration. It has the ability to stretch and move without restriction. When we experience physical trauma, scarring, or inflammation, however, the fascia loses its pliability. It becomes tight, restricted and a source of tension to the rest of the body. Deep tissue massage focuses on realigning deeper layers of muscles and connective tissue. It is especially helpful for chronically tense and contracted areas such as stiff necks, lower back tightness and sore shoulders. Strokes similar to classic Swedish massage are used, but the movement is slower and the pressure is deeper, as your tolerance allows. Cupping is an ancient Chinese form of alternative medicine in which a local suction is created on the skin, this mobilizes blood flow in order to promote healing. It helps bring blood flow and circulation to areas with adhesions or less innervation. I use glass(fire), magnetic, plastic and silicone cups. I love to incorporate this because the cups can be in one area while I massage another. These points are defined as localized areas in which the muscle and connective tissue are highly sensitive to pain when compressed. Pressure on these points can send referred pain to other specific parts of the body. Chakras are wheels of light located all over our body. We have thousands of them in our body but the seven major ones are located along our spine from its base to the crown of the head. Chakras are like the power stations of our body, bringing it to life, and keeping it healthy. Each chakra is associated with different parts of us and they need to spin totally in balance for us to feel good. The chakras absorb energy that comes from our thoughts, feelings and outside environment and feed this to our body. Our body is affected by the quality of the energy that passes through the chakras. Reiki is a Japanese technique for stress reduction and relaxation that also promotes healing. It is administered by “laying on hands” and it is based on the idea that all things are made of energy and that Reiki is the life force energy that is in all living things. If a person, animal, plant, or any living organism is low on this life force energy (Ki) or has stagnant blockages, congestion or energy flow restrictions, the organism can become out of balance, weak, unhealthy, sick, and diseased. Reiki restores balance and infuses the body with energy. It is truly a miraculous healing modality. Therapeutic pregnancy massage has numerous benefits for mother and baby during this unique physical and emotional time. Regular massage reduces stress to mind and body, encourages steady blood pressure and respiratory rate, increases blood and lymph circulation and provides relief from musculoskeletal strain. These are just a few of the many wonderful benefits. Please consult your doctor prior to scheduling a massage. *** Expecting Mothers in First Trimester: It is recommended that massage is only provided with doctor’s approval when in your first trimester. Ashiatsu is a barefoot massage technique using deep strokes from the therapists’ feet. This treatment is highly effective for those who suffer from chronic neck and back pain or spinal issues, as well as for athletes and those who enjoy deep tissue massage. Ashiatsu is performed on a massage table. During treatment, the therapist uses the parallel bars overhead for balance while applying slow, gliding foot pressure and compression to strategic points along the spine and body. Ashiatsu’s one and two-footed strokes distribute pressure evenly over a large area of the body, providing a deep and relaxing massage without the pain often associated with traditional deep-tissue massage.